Contact: Mark: 0415 666 523, or Amanda: 0418 887 136. Mondays: NEW VENUE: BENOWA TAVERN, 117 Ashmore Rd Benowa. Wednesday: Salisbury Scout Hall, cnr Cripps St & Blackwood Rd, Salisbury. 1930's & 40's Lindy Hop, Charleston & Balboa. Lears to Swing Dance in a friendly, fun atmosphere. OR introduce a NEW friend to our classes & get our... 2 for 1 offer! 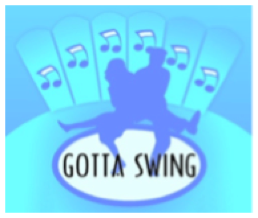 Swing it, Rock it, Lindy Hop it! We conduct weekly classes, teaching beginners, intermediate and advanced. and we teach Rock n Roll, Lindy Hop, Swing Jive and Balboa. Also specialising in Workshops of your choice.